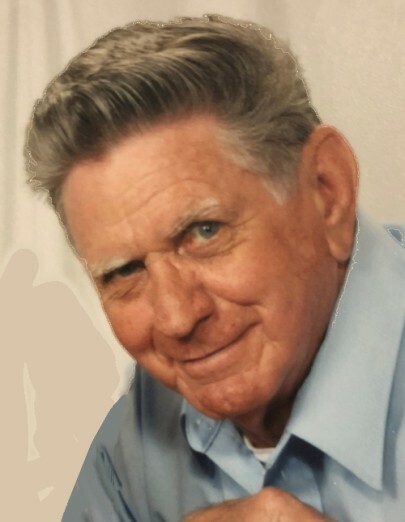 William Andy “Bubba” Bobbitt, age 87, resident of Somerville, Tennessee and husband of the late Mary Ellen Claunch Bobbitt, departed this life Tuesday morning, January 15, 2019 at St. Francis Hospital in Bartlett. A Funeral Service for Mr. Bobbitt was held at 1 P.M. Friday, January 18, 2019 at the Peebles Main Funeral Chapel in Somerville with Bro. Carl Doyle of Oakland, officiating. Interment followed in the Pleasants Christian Church Cemetery in Rossville. Arrangements were provided by Peebles Fayette County Funeral Homes & Cremation Center – Main Chapel in Somerville. Bubba was born December 26, 1931 in the Macon Community of Fayette County, the son of the late Daniel Baker Bobbitt and Allie Belle Holder Bobbitt. He received his education in Macon, Tennessee and the William R. Moore School of Technology in Memphis. He was married October 31, 1953 to the former Mary Ellen Claunch, who preceded him in death on June 18, 2007. Bubba attended Morris Chapel Baptist Church in Somerville and was employed as a welder for much of his life before his retirement. He enjoyed hunting, fishing, watching westerns, special times with his family and playing with his grandchildren. Mr. Bobbitt is survived by two sons, Kirk Bobbitt (Petra) of Fayetteville, NC, Harold Andy Bobbitt (Linda) of Waynesville, MO; his sister, Fannie Lee Privette of Houston, TX; four grandchildren, Angela Luke, Harold Bobbitt, Jr., Michele Disbrow, Victoria Bobbitt; eleven great-grandchildren and three great-great-grandchildren. In addition to his wife and parents, he was preceded in death by four brothers, Eugene Bobbitt, Roy Bobbitt, A.B. Bobbitt and Harold Daniel Bobbitt. The family requests that memorials be directed to the Pleasants Christian Church Cemetery Association, 235 Linwood Drive, Rossville, TN 38066.